Below is a comprehensive list of hotels in Pendeen. 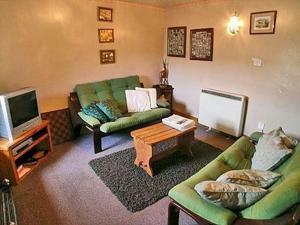 Use the sort links to refine your search or to find featured accommodation in Pendeen. Many of our hotels in Pendeen feature no booking fees and best price guarantee when booked through the Pictures of England website. To list your hotel in Pendeen, click here. Set in St Just in the Cornwall Region, this holiday home is 15 km from St Ives. The property features views of the garden and is 43 km from Falmouth. ..
Alskai is a holiday home with a garden, located in St Just. The unit is 15 km from St Ives. The kitchen has a dishwasher. Towels and bed linen are fe..
Treplevna is a holiday home is located in Lower Boscaswell and is 15 km from St Ives. The property is 43 km from Falmouth and free private parking is ..
Chyrose Farm Cottage is a holiday home with a garden, situated in St Just in the Cornwall Region. 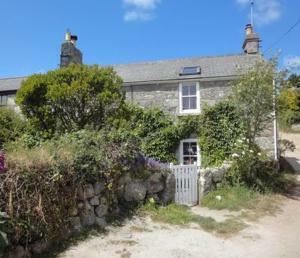 The property features views of the garden and is 14 ..
Haddock'S End is a holiday home set in St Just, 14 km from St Ives. It provides free private parking. There is a dining area and a kitchen. A TV is f.. The Captain's House offers pet-friendly accommodation in Lower Boscaswell. The property is 15 km from St Ives and boasts views of the city. 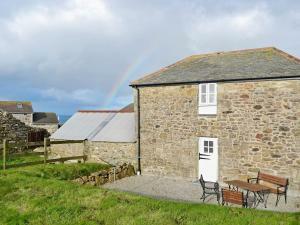 There is ..
Badgers Barn is a holiday home set in St Just, 16 km from St Ives. It provides free private parking. A dishwasher and an oven can be found in the kit.. 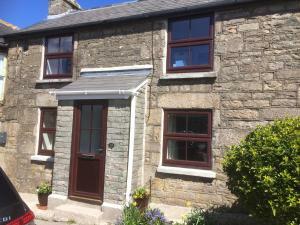 Situated 16 km from St Ives and 43 km from Falmouth, Bal-Maiden'S Cottage offers pet-friendly accommodation in St Just. The property is 10 km from Pen.. 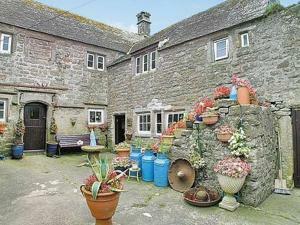 Smugglers Cottage is a holiday home with a garden, situated in St Just. It provides free private parking. An oven, a toaster and a refrigerator can b..
Set 16 km from St Ives and 44 km from Falmouth, Secret Garden Cottage offers accommodation in Lower Boscaswell. The unit is 11 km from Penzance. 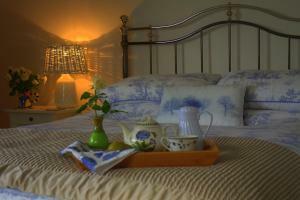 The ..
Wintara B&B is situated in St Just, 17 km from St Ives and 44 km from Falmouth. Free WiFi is offered throughout the property and free private parking ..
Nancherrow Rose Cottage is a charming 2-bedroom Cornish cottage, set 2 miles from the historic town of St Just. It opens onto a terrace and garden ove..
Set in St Just, Nancherrow is a cottage boasting a barbecue. The unit is 17 km from St Ives. There is a dining area and a kitchen as well as a privat..